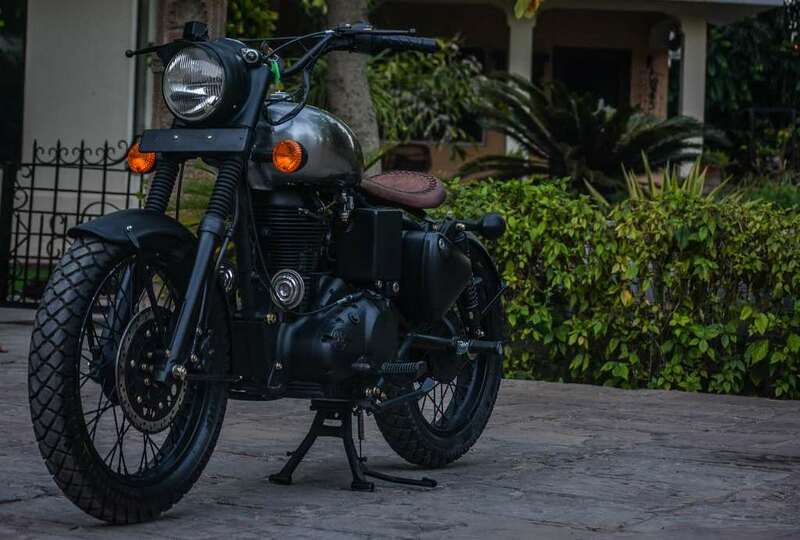 Rajputana Customs is one of the most popular names in custom bike fraternity in India and they started their operations in 2009. Over the years, we have seen some beautiful machines come out of their garage and in this article we are featuring RE 500 Basic which is based on Classic 500. 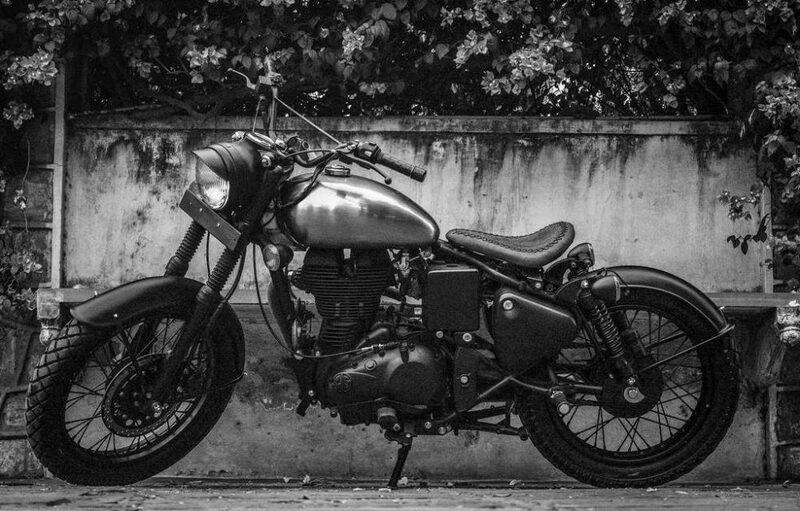 Rajputana Customs took four weeks to complete this project. 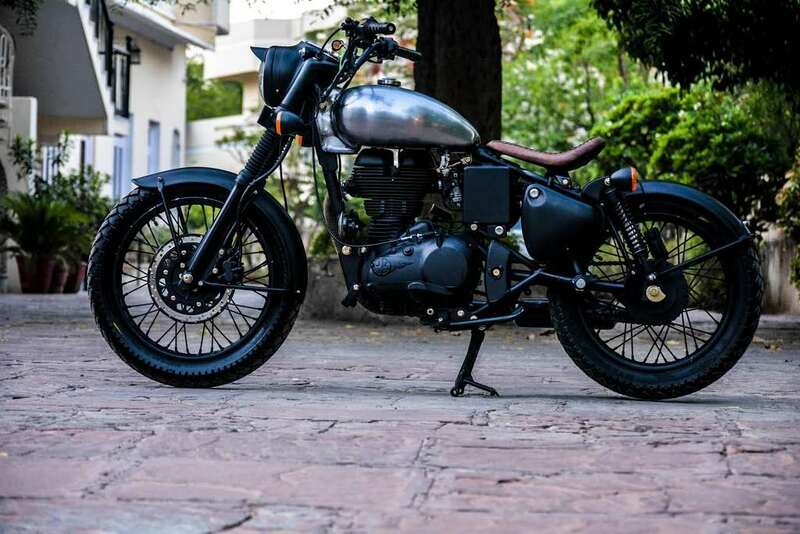 The custom bike is basically stripped out version of the Classic 500 but Rajputana Customs have made some changes. The RE 500 Basic gets chrome finish for the tank along with a new single piece seat which doesn’t get springs. The front and rear mudguards are shared from stock bike. The rear tail lamp unit have been removed and the indicators are placed on suspension mountings. Rajputana hasn’t changed stock suspension along with the headlamp and instrument cluster are shared from stock bike but the handlebar is new. The riding position is relaxed thanks to the position of handlebar and foot pegs. Apart from fuel tank and seats, everything is finished in matte black colour. RE 500 Basic retains stock wheels and they are finished in black colour. Rajputana changed stock tyres and replaced them with MRF dual purpose tyres. The engine is shared from stock Classic 500 but the fuel injection system has been replaced with carburettor. RE 500 Basic is powered by 499 cc single cylinder engine producing 27.2 hp of power at 5,250 rpm and 41.3 Nm of torque at 4,000 rpm. The engine is mated to 5 speed gearbox. The braking duties are done by 280 mm disc at front and 153 mm at rear. The cost of modification is Rs. 1.5 lakh excluding the price of donor bike. The modification given for the Classic 500 is simple yet the RE 500 Basic is so appealing and makes the rider standout.